This oceanside retreat in Key West is located on the beautiful Gulf of Mexico. Hyatt Key West Resort and Spa offers an award-winning spa, waterfront dining, and extraordinary activities. Guests can explore the sites of Old Town and enjoy the world-famous Key West sunsets from the inviting guest rooms. Accommodations include 118 rooms with sweeping views of the Gulf of Mexico and a private balcony. 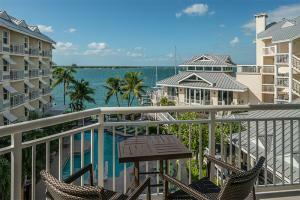 Located just minutes away from Old Town Key West.